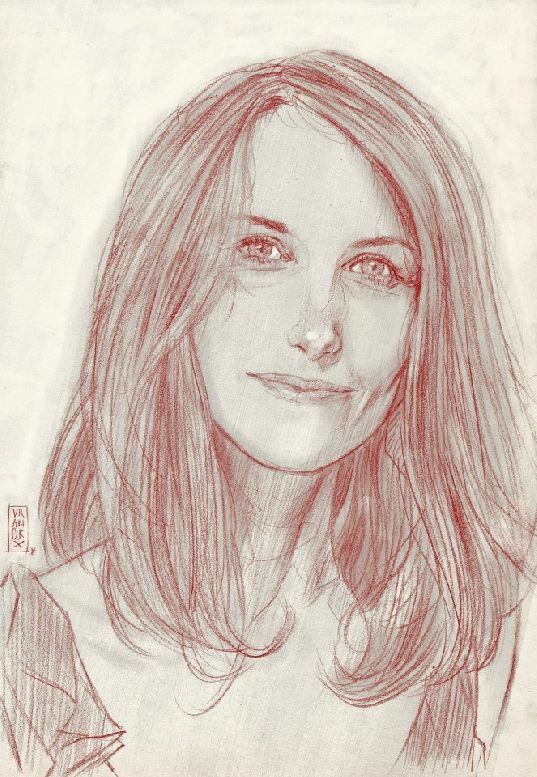 Portrait drawing made by my boyfriend, Gilles Vranckx. You look beautiful. Go you! oh gosh, you are absolutely adorable girl! Love the drawing, he did a great job. You always look so happy!!!! So beautiful you are. I wish I could draw that well! Very nice. wow. that is a seriously talented artist! Wow, that is a fantastic drawing. That's a great drawing! I wish I could draw that well. What an amazing artist your boyfriend is! What a life-like sketch! Your boyfriend is a talented artist! Wow. I just checked his portfolio, and it's amazing! I love the portrait! What a talented guy. Wow! That's amazing! What a great job! Very pretty portrait!! My artistic gifts stopped at finger painting!! wow! he's an amazing artist! i'm going to go check his work out, i'm glad you linked it. that is one beautiful drawing...your boyfriend is very talented. great drawing, hope you have a great day. What a beautiful portrait! You are gorgeous - and your boyfriend is talented! That is a beautiful drawing! you remind me of my Spanish teacher! While an artist myself, there is a reason I'm not a portrait artist. I can invent someone/something that's not really there, but have difficulty drawing from life studies. Usually it's the other way around. Beautiful drawing - you're boyfriend is very talented. Gorgeous portrait! Your bf did a great job! That is a beautiful Portrait! What a beautiful lady! What a lucky boyfriend! I am so grateful you are sponsoring this $25 Amazon gift card. Thank you. Beautiful portrait! He's clearly talented. That is a very nice portrait,I like the color choices that were made. Fun! Thanks for doing this! Love the portrait. He's very talented. My brother in law had a sketch done of one of our children. Its such a priceless gift! Great sketch, wish I had artistic talent! AMAZING job on the portrait! He's very talented. I had a friend who sketched wonderfully like that once and did one of me when I was 13. Now I wish I'd kept it! What a wonderful portrait - so nicely done! Beautiful! I also promoted on FB and twitter. Beautiful portrait, thx for the giveaway! Really great portrait! Must be nice to have such a talented boyfriend. I also tweeted to promote your book. Good luck! Gorgeous drawing! I wish I was that talented! I love how your boyfriend managed to capture the smile in your eyes. wow, stunning work! thanks for joining Simply Create!!! Your boyfriend is quite talented! I agree, Such a great portrait. Great portrait! Your man has talents! Wow! What a wonderful talent! Your boyfriend is very talented and you are beautiful! Beautiful drawing! Your boyfriend is very talented! Love the drawing, I have no artistic skills whatsoever, so for me amazing! You are so very talanted. That sketch is amazing! Wow. Now that's talent. Impressive! What a beautiful sketch! He is very talented, and you are gorgeous!! Soft lines and the picture flows nicely. Very pretty! Shared your screenplay on StumbleUpon. Shared your screenplay on Tumblr. Beautiful! I tweeted, posted on facebook, and pinned to pinterest! I would to win! It would help with Christmas! lovely photo. thanks for the giveaway! Thanks for the giveaway! I promoted! He is a very talented artist.. Very lovely. Would love to win. I'd love an Amazon GC! Your portrait is amazing. Your boyfriend is very talented! He is a keeper... LOL! Beautiful portrait! Thanks for the giveaway!